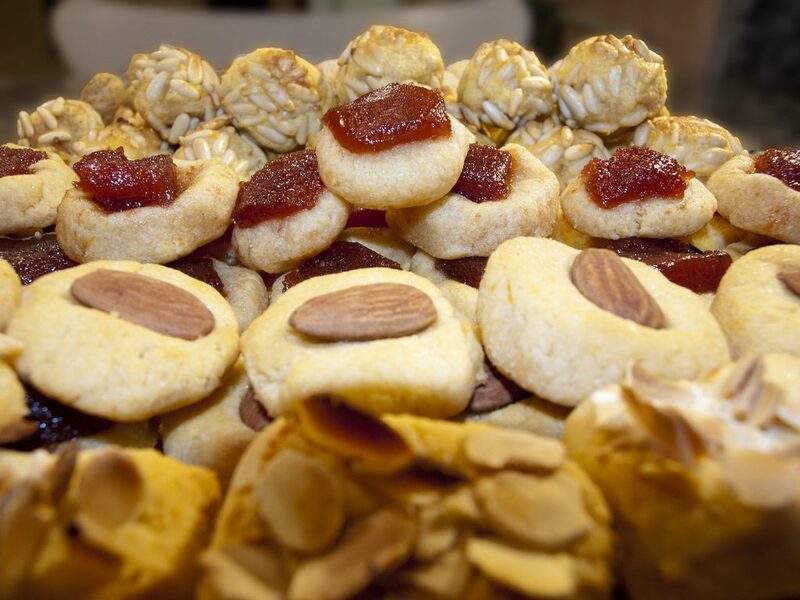 We’re nearing the end of October and the grocery shops in Catalunya are filled with sweet potatoes, chestnuts and little marzipan cakes. Small children are more likely to be dressed up as headscarved roast chestnut vendors than the ghosts and ghouls of Hallowe’en – these are all parts of the Castanyada celebrations. This year, 1 November, which is the All Saints public holiday (Tots Sants in Catalan), falls on a Tuesday. Many people are taking the opportunity for a long weekend, taking Monday 31 October off work too with Castanyada dinners and parties that evening. 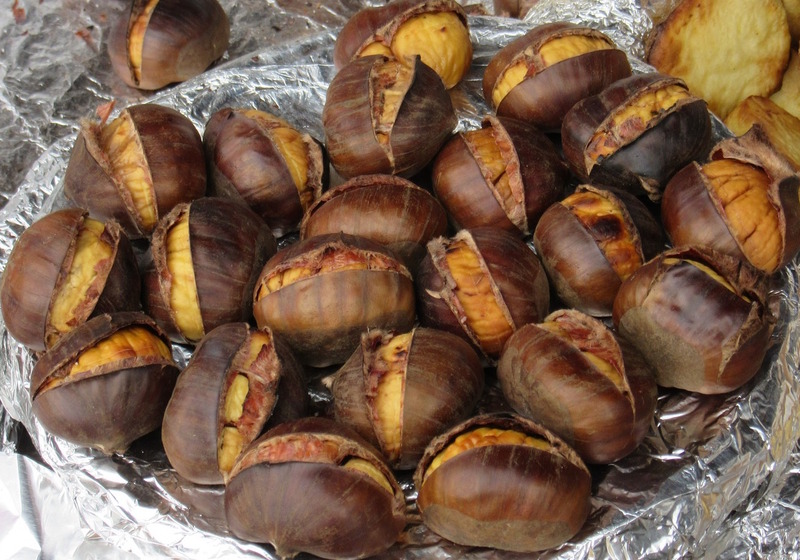 Chesnuts which are roasted and traditionally sold by a little old lady, known as the Castanyera. There’s even a song about her which you may come across groups of children singing in village squares or school performances. Look out for special menus (for example, at Azara) and events on the evening of Monday 31 October.